Announcing my first ever public concert. I have played thousands of engagements in my life, but always for someone else’s party. This time, it’s my party! Musicians Greg Olson (drums), Reuben Ristrom (guitar/banjo) and Tom Lewis (string bass) are all fabulous jazz musicians you will enjoy. 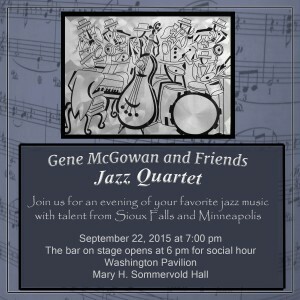 The program will be straight-ahead jazz – the best from the Great American Songbook. The bar on stage opens at 6:00 pm for social hour; concert begins at 7:00 pm.